Girls Floral Blouse Outfits.Floral prints are women’s favorite prints. It’s because they are beautiful with a lot of variety in colors and patterns. The colors in florals are usually bright and catchy. There are floral patterns of all shapes and sizes. 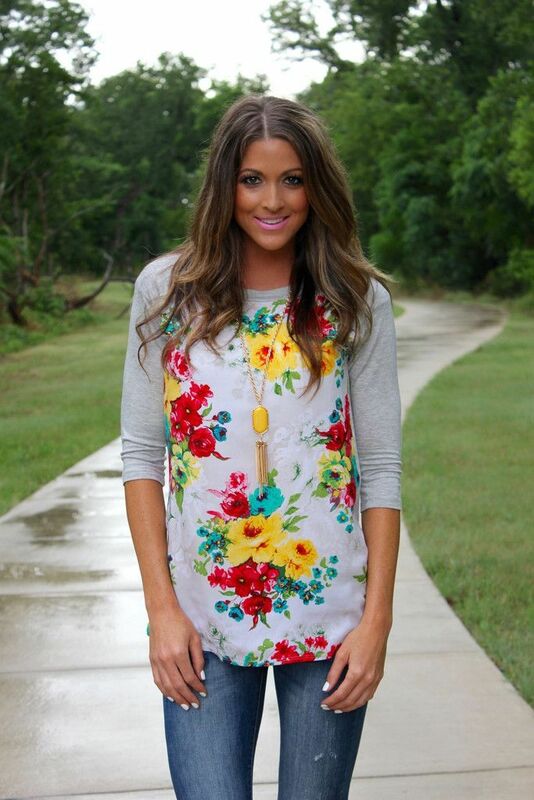 Floral tops are all the rage and their fashion never fades away. Floral are in throughout the year. Thin silk and chiffon floral blouses in summer and spring, and Cotton or Linen floral prints are the in thing in Winter or Autumn. All through the year, your closet must have at least one floral apparel. Floral prints are usually easy to style up too, but sometimes it gets difficult to style them up because everyone wears them and to look different and unique in floral print outfit becomes a huge task. For summer floral blouses like that of silk, wear them with skirts or flare pants. Floral blouses of materials like cotton and linen look better with jeans and denims. Do not wear loud accessories with floral blouses because most of the floral prints are loud in itself. Keep the makeup in the contrasting color of the floral print because too much of the same color will clash. ↓25 – What To Wear With A Medium Length Floral Shirt? 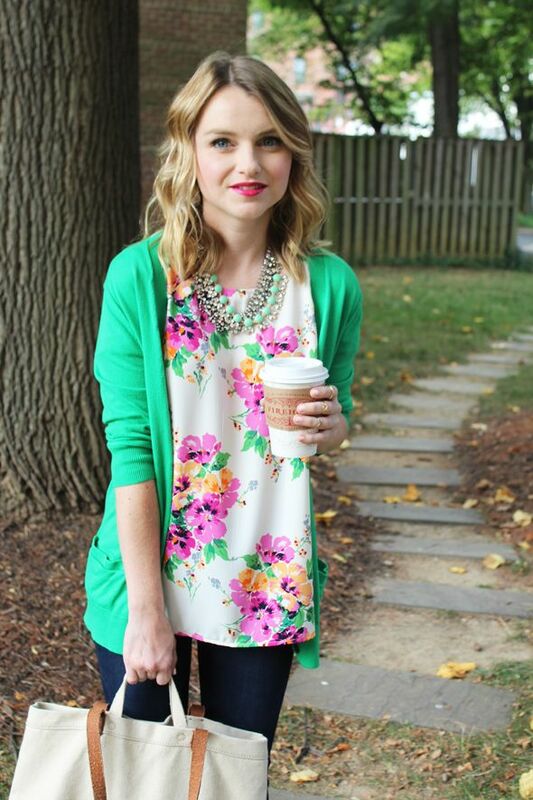 Here are 22 Cute Floral Print Outfits Combinations for Spring Season. Flower power! The forty plus, Charlize Theron brightens the day in floral blouse with skintight jeans while out to lunch in West Hollywood. Here are some more amazing dressing styles for Women over 40. Floral blazers are also a very in thing. They are hip and trendy and make a great work day outfit. Here’s a complete guide on What to Wear with Printed Blazer? 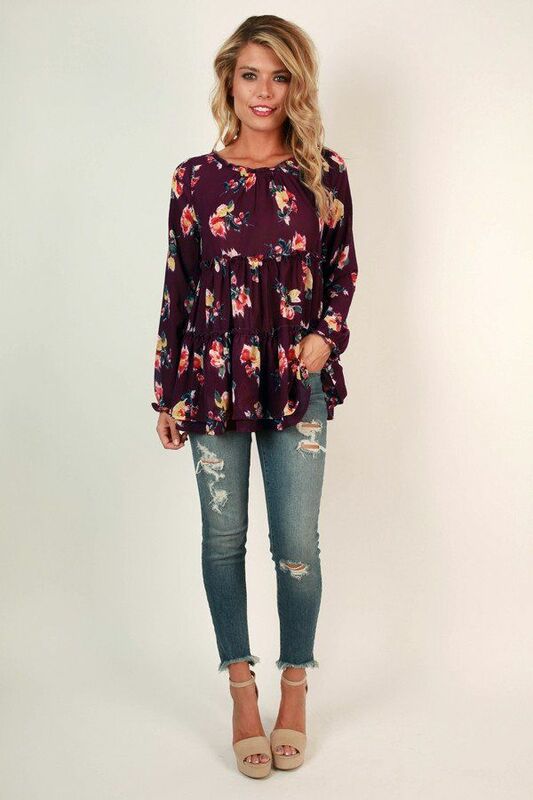 A cool floral blouse is excellent for everyday look. You can wear a floral blouse while doing grocery shopping, going to the mall or visiting the library. It makes you look stylish and cute and is perfect casual everyday look. 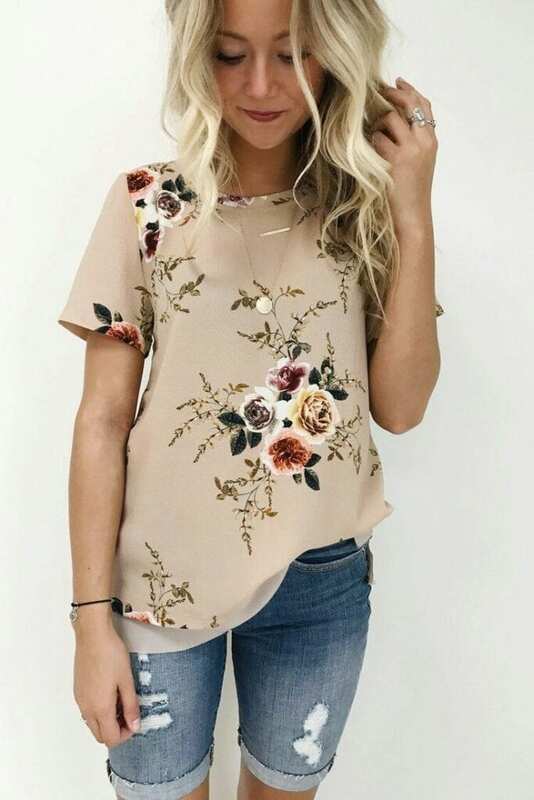 White colored floral blouse are very popular because they enhance the floral print and behind the white background the colorful flowers look absolutely beautiful and stunning. So that is the reason white floral blouse are the most popular among the floral outfits. A well tailored floral blouse would also go really well with white wide leg pants, so do check out these ideas on How to Wear White Wide Leg Pants. Flare pants also make a great combination with floral blouse. You can wear any type of flare pants with the floral blouse. 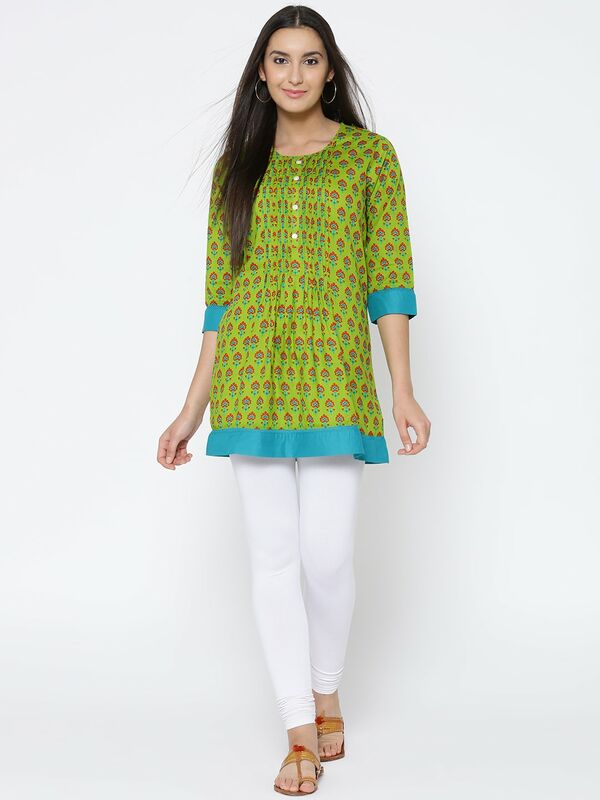 It can be plain cotton or may be silk or denims, a nice floral blouse looks great with it. Floral dresses are great but if you are wearing a separate top and bottom, then top to toe floral print almost never works. A floral top with plain bottoms or a floral bottoms with plain tops is the usual way to dress up. However there can be exceptions made sometimes. Here is a top to toe floral dress look that is looking perfect. Here are 20 Ideas How to Style Floral Skirts This Spring/Summer. You can wear all kinds of shoes with floral blouses depending upon whether you are wearing a casual blouse or a formal one. Do check out these 40 Ways to Style Floral Shorts. As we have mentioned before usually floral are loud clothing so you can easily get away with a lighter tone of makeup and accessories. Same is the case with hairstyles. You can tie your hair up or let them lose, wear according to your mood. Sheer floral wraps, scarves and jackets look very nice with any inner wear. They are comfortable and trendy and can be worn in any season. For winter you can wear wraps of thick material but in summer you can wear sheer wraps as a summer jacket. Floral blouse outfits are ideal for an occasion where you want to dress up properly but do not wish to look like you are overdoing it or trying to get too much attention. They have dual casual and formal vibe and can look good for a first date or a tenth date. Don’t miss out this best ever collection of Date Outfits for Women. 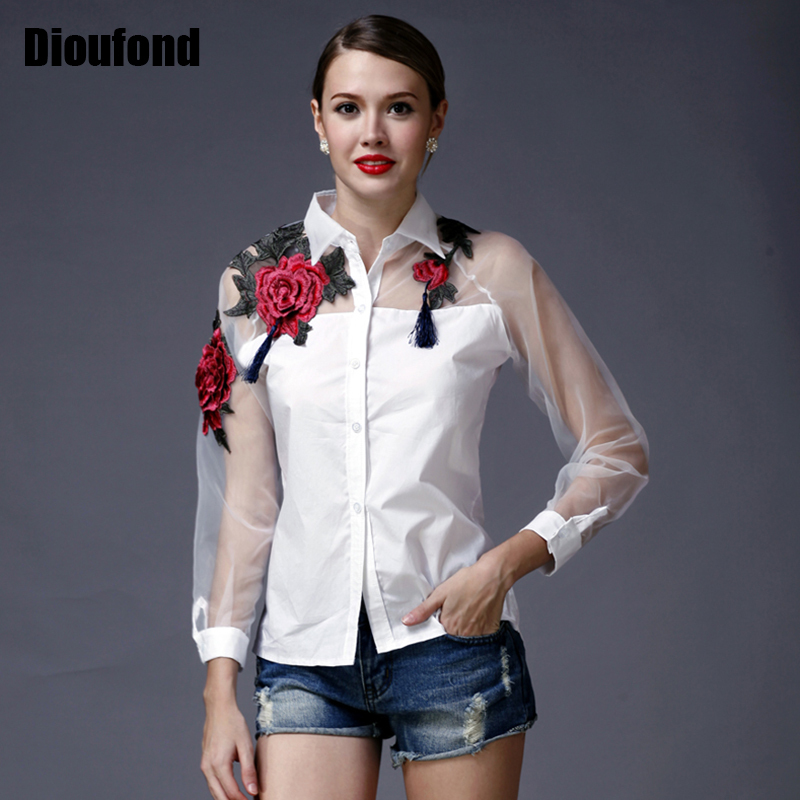 Button down floral blouses of sheer materials are also very much popular. They can be worn on formal occasions like weddings, parties, dinners or birthdays. They can be worn with skirts or silk pants. Wear high heels with the button down floral blouse outfit to complete the formal look. Also have a look at these ideas on How to Wear Button Front Skirts? Embroidered floral designs are also very popular. Beautiful and intricate embroidered patterns are great. Embroidery on all over the blouse is good but to make it a bit different you can try out embroidery on the shoulders, or on the back only or on the cuff and collars. Whichever design of embroidery you choose, floral embroidery always look cool and stylish. Denim jeans, shorts or skirts all look good with floral outfits. If the denim jeans is ripped or frayed wear a casual floral blouse with it. 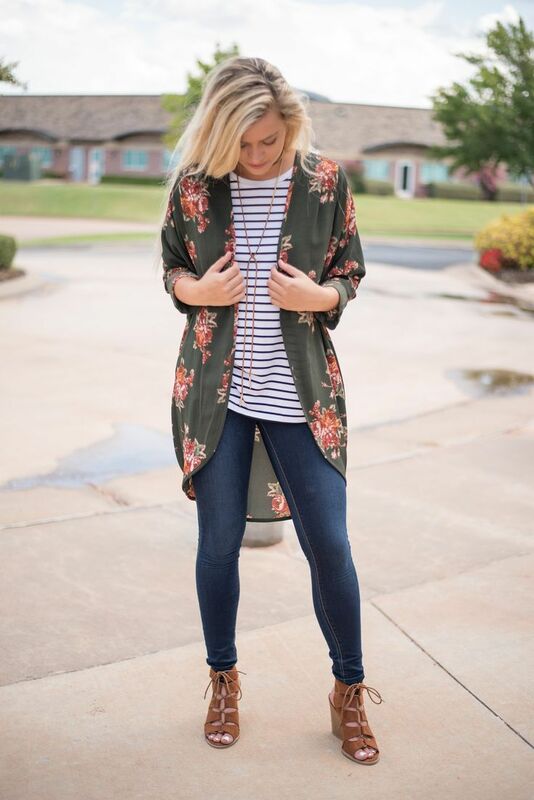 To go with a little formal floral blouse it is better that the denim you are wearing are normal ones like boyfriend jeans or flared denims. Even skinny or straight legs look good.